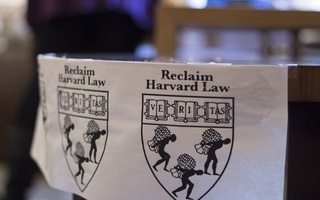 Last week, the student activist organization Reclaim Harvard Law published an open letter calling for the end of tuition at Harvard Law School. The demand, dubbed “Fees Must Fall,” is a second act to the Reclaim movement’s successful “Royall Must Fall” campaign to change the Law School’s seal. The campaign brings to mind the Board of Overseers campaign of Silicon Valley entrepreneur Ron K. Unz '83, who is running on a controversial platform of free tuition for all undergraduates. Since education costs have risen far faster than inflation for decades, free tuition financed by the world’s largest university endowment may seem like an unmitigated good at both the College and the Law School. Reclaim’s demands, however, are unfeasible for many of the same reasons that Unz’s are. If Harvard wants its law school to remain one of the best in the country, it will need to plan to fund it comparably to its competitors. The goal of free tuition is difficult to achieve as much of Harvard’s endowment is already earmarked for other purposes. 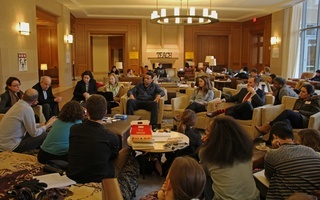 In fact, the University already spends far more educating each student than it takes in through tuition. The Law School in particular is obscenely expensive. The median graduate from the class of 2015 left Cambridge with nearly $150,000 in debt. But this figure obscures the vast gulf that separates the Law School graduates who choose to pursue high- and low-earning careers after graduation. 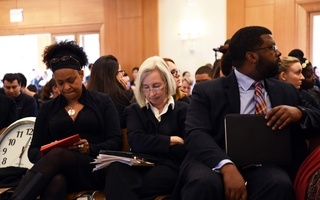 Rather than subsidizing all students indiscriminately, the Law School should increase funding to existing programs like the Low Income Protection Plan, which provides loan repayment assistance to students who devote their careers to public service and pro bono work. Many graduates pursue paths within the legal field that render the student loans less significant of a challenge. The starting salary at the most competitive big city law firms can exceed $160,000 in the first year after graduation, and the average graduate earns over $116,000 out of school. In contrast, salaries for government employees and public defenders can be as low as $30,000. For graduates planning on pursuing pro bono work in the long term, student debt can quickly become an overwhelming burden. The goal should be a payment structure that gives all students—particularly women and people of underrepresented minority groups—the financial freedom to choose the career path they want. Slashing tuition indiscriminately across the board subsidizes the most privileged and diverts resources from those who most need the financial support and seek to serve the public good for lower compensation. Patrick Ho, co-founder of Vaxess Technologies, spoke Tuesday about his experience in entrepreneurship and building a for-profit company that supports the public interest. Progress may be a duty on us all, but it must happen deliberately, with due consideration of consequences.